International award-winning lifestyle and portrait photographer specializing in high-energy photography of children. This photographer is also well known for celebrity photography. Professional photographer with focus on Wedding photography, fashion photography, corporate photography and fine art photography. Covers Maryland, MD, VA, Virginia and DC. Professional photographer specializing in wedding photography, portrait photography, and event photography. Harrisburg, PA.
Sydney photographer Shawn Connell. Site features four galleries, 'Passion', 'love', 'life' and 'art'. Specialising in people photography but also with some flower photography. Photographer based in Atlanta specializes in baby, children and family photography. Commercial photography and graphics. Includes examples of works by this photographer. Award-winning professional photographer specializing in portraiture, weddings, and commercial photography. Photographer offering wedding photography, portraiture, commercial and aerial photography. A wedding photographer and portrait photographer. Specializing in photojournalistic, fine art, creative imagery, senior, pregnancy. Free-lance photographer specializing in wedding photography. Portraits, engagement photos, pet photography are other services offered. Allenstown. Professional wedding photographer serving the greater Pittsburgh area. Will travel upon request. Also available for nature photography, Civil War re-enactment photography, and other events. Commercial and advertising photographer: fashion, action news photos, portraiture and delicate macro photography of jewellery products. Nottinghamshire Freelance Photographer showcases examples of work. Wedding Photography is a speciality. Affordable and flexible packages can be agreed with clients. Photographer in Southern California, specializing in lifestyle photography, groups, children, teens, weddings and family portraits. Sample images. Professional photographer working in the northwest suburbs of Chicago specializing in the photography of weddings, family portraits, candid, special events, sports, and thoroughbred racing photography. Celebrity photographer who is passionate about taking photographs, capturing events, parties, shows, weddings, portraits and sports on film. Experienced press/PR photographer. The website of Woodstock Photography, the studio of photographer John P. Bernunzio, specializing in Wedding, Portrait, and Special Event photography. Gainesville Wedding Photographer specializing in photojournalistic wedding photography, portraiture, fine art, commercial photography and heirloom digital photo restoration. Wedding and portrait photographer specializing in candid, editorial style photography. Emphasis is placed on black and white fine art wedding photography. Professional photographer that works with portrait photography and commercial work with children and families. The site contains samples of her work. Professional wedding photographer on Maui, Hawaii. Portraits and packages. Wedding and portrait photographer specializing in candid, editorial style photography. Emphasis is placed on black and white fine art wedding photography. Located in Chicago. Dallas childrens photographer. Kelly is a maternity, baby, child, and family photographer specializing in candid, black and white style portraiture. Bob Coscarelli has been a Chicago based commercial photographer since 1989. He specializes in 'People' photography in the studio and on-location. He works with Ad Agencies & Design firms across the United States. Photographer specializes in corporate, editorial and location photography. If the business hours of DC Wedding Photographer - Events and Portrait Photography in may vary on holidays like Valentine’s Day, Washington’s Birthday, St. Patrick’s Day, Easter, Easter eve and Mother’s day. We display standard opening hours and price ranges in our profile site. We recommend to check out gregkellyart.com for further information. 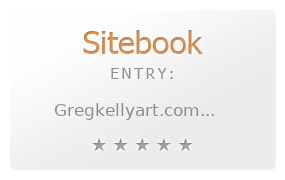 You can also search for Alternatives for gregkellyart.com on our Review Site Sitebook.org All trademarks are the property of their respective owners. If we should delete this entry, please send us a short E-Mail.